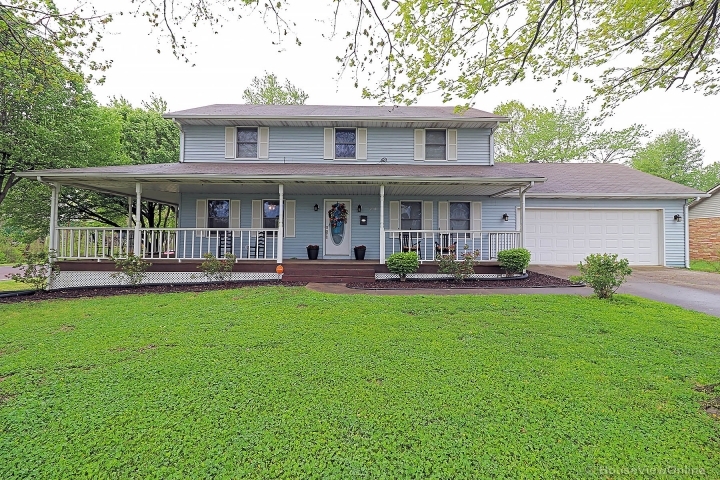 Take a look at this beautiful custom built 4 bed 3 1/2 bath home sitting on 34 acres & located minutes from the city limits of Perryville and I-55. Situated on the 34 acres is a well stocked 3 acre lake, two 30x40 shops, a covered back patio & your future home! When you walk in the front door you will fall in love with Cathedral ceilings in the foyer. On the main level you will enjoy your spacious kitchen & wet bar that joins your large living room that will help you enjoy your evenings with family & friends. The main level also offers a laundry room, walk in pantry, office, & a formal dining room. The staircase in the foyer will lead you upstairs into your large master bedroom & bathroom. The three guest bedrooms located on the upper level each has a bathroom attached for your growing family's convenience or to accommodate your guests. Some bonus features of the home include a one year old roof, a stand by generator, windmill, and of course privacy. Don't miss out on this one of a kind home!